It was on a black and white TV that I first encountered the crew of the USS Enterprise. Which episode it was I'm not sure and there's no way I can remember what happened because I suspect I was about two years old and maybe even smaller than that. Moreover it was all my Dad's fault. He is indeed the architect for this facet of my life. Since the days of the original airings of The Original Series back in t'day he had been a fan and his love of the show passed to me....and grew. I wouldn't go as far as to say "avid" in relation to his relationship with the series but he has told me in the years since that it was one of his favourite TV shows and to this day we have many a Trek related conversation either about an episode one of us might have caught on TV or a book that I might have added to the Trek library. However let's get this all properly into perspective. Flashback a bit here. It's 1979 and two major defining events occurred. 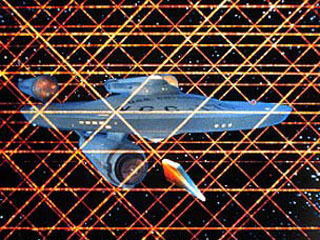 One was my arrival (of course) and the second was the premiere of Star Trek: The Motion Picture. 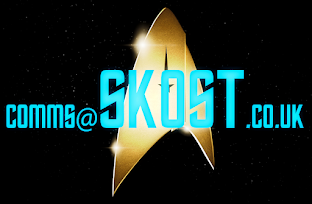 While for me this was a speck on my viewscreen, for Dad it was quite a big thing as this was the first new Star Trek in a decade and the first big screen outing thanks in no small part to the arrival of the Star Wars juggernaut a few years earlier. Some years later Dad let slip that he'd got hold of some stills from the film and had them up at home following it's release. 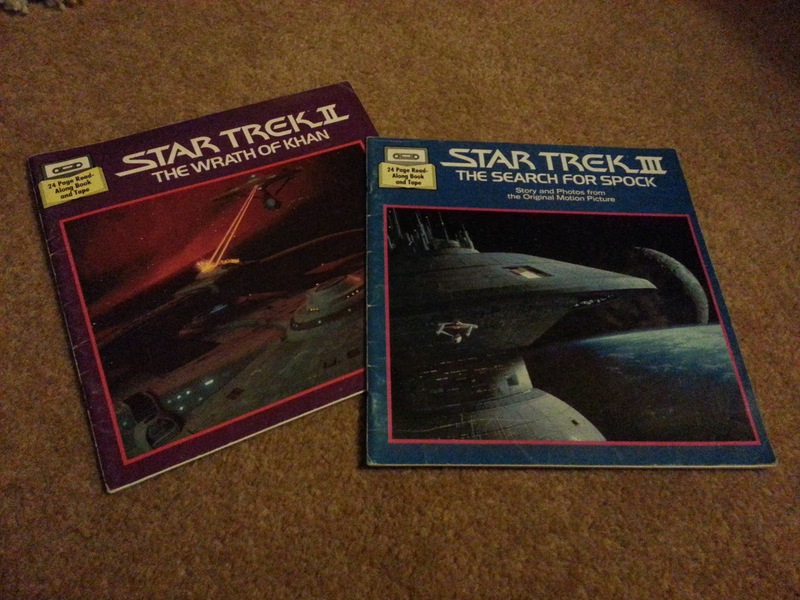 Unfortunately for the growing Trek fan in me they had been filed under "B" for Bin a number of years before my obsession took control. What TMP did was ensure that his interest in the series didn't wain and he, in turn, passed that love of the original series to me. The strange thing is that had it not been for George Lucas and his epic trilogy then we probably wouldn't have had the films, TNG, DS9, Voyager or Enterprise. Would I have become such a big fan? Probably not as I suspect we would have had Phase II and then that would have been it. So thanks Mr Lucas - my love of Trek may be partially your fault/responsibility! Anyway; The Motion Picture happened; critically not that great, but it kicked off a whole sequence of events that have become intertwined with my life and continue to be as I enter my 33rd year. Oddly I had an idea to do something life this when I was 18 and it only managed to make three lines of text. This is already a greater success five paragraphs in. I was born in Lancashire before we moved to Crewe and in a quirk of fate I now live quite close to the same place. We were there for a couple of years before uprooting for Cornwall in 1984 and this is where my interest truly began. For a few years it was something I would look forward to on a Wednesday night with dad. It even got to the point where my primary school teacher, Miss Nicholls would remind me it was on at 6pm - and the weeks it wasn't just didn't feel the same. It now dawns on me that it was an essential part of my routine and my week would be planned around this TV event. In 2012 I still have to have order and regiment to make sure I cope with life's little "tribble-ations" so to speak. 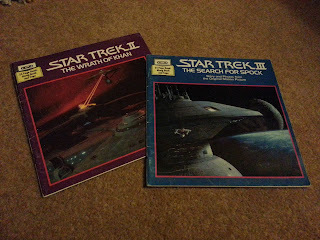 Back in 1985/6 knowing that a week had come round again and that I would get to see another adventure with Star Trek added more to the structure of my life. To this day I get lost if part of my morning routine is out of sync let alone the rest of the day. As I mentioned in my first Trek blog, Star Trek has the distinction of being the first programme I watched at home in colour on a Ferguson telly. We bought it from Dixons on Truro high street and as we were tuning it in at home I caught sight of those familiar titles and distinctive theme tune. It was the second season episode of "The Apple". I still remember Dad being amazed that the turbolift doors were orange! My clearest memory of an episode comes from "The Tholian Web". An installment from the third season it was an absolute stand out so much that today it is still one of my all time favourite Original Series episodes. Why? Well, when you're six or seven and there are some cool non-human aliens, spaceships building a web and Captain Kirk as a ghost it really can get no better. At this stage I probably hadn't seen many of the earlier episodes from 1966 or 1967 which is in a way good as the best was literally still to come for me. What other episodes I saw I couldn't tell you but I know that I enjoyed every single one for very different reasons to what I would take from them 30 years on. That's probably one of the major reasons my love affair with this show has been maintained for so long. Whichever episode I watch I always seem to find something new that I've not experienced before and "The Tholian Web" is no exception. 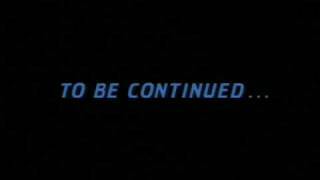 I loved it because of the action and that they went onto another ship that was slowly disappearing in the form of the USS Defiant. There was a genuine threat and the captain was nowhere to be seen (literally). 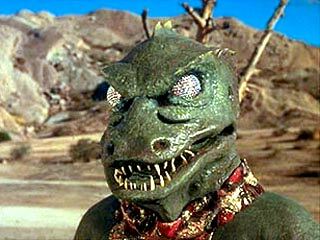 Big shame it took until Star Trek Enterprise to revisit the Tholians, the superb Gorn and the Defiant in probably that series' finest hour(s), "In a Mirror, Darkly Parts I & II" from 2005. Looking back at this episode now in a different and more middle-aged light I still appreciate the episode for its style, miniature work and especially the character development of the cast as they come to terms with the loss of their captain - good thing they never viewed his final orders, huh?! When it's compared to the rest of the third season it's a brilliant episode along with "For the World is Hollow and I Have Touched the Sky" and also I'm a bit of a sucker for "All Our Yesterdays" with its nifty time travel plot if we're going to be laying all the cards on the table here. 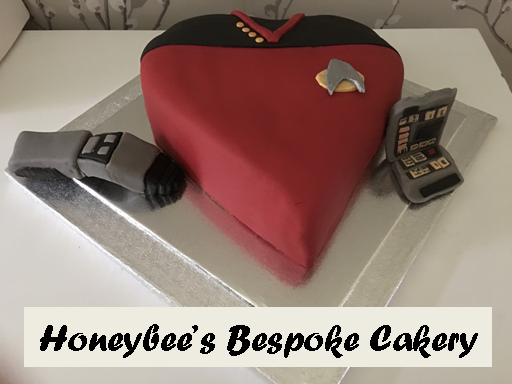 Now let's be clear, I'm not going to preach and moralise that Trek has turned my life around etc etc - this is about how Trek has functioned as part of my life and why I've loved it so much. 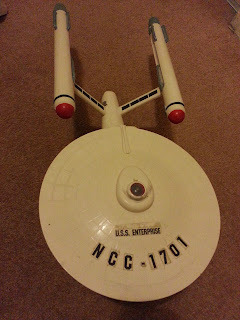 Now around the time I was watching the series for the first time, my Dad built the Enterprise. It was the original AMT kit that had remained unchanged since the 1960s' release and it was awesome. I don't recall the construction process or where it resided while we lived in Cornwall but what I still have is the decal sheet that came with it. 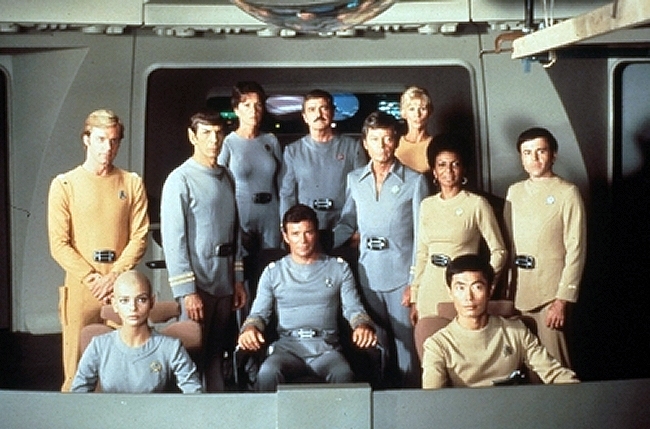 You could pick to rename it as any of the original Constitution class vessels including the ones featured in "The Tholian Web", "The Ultimate Computer" and "The Doomsday Machine". We of course plumped for the good old Enterprise. Incredibly this kit has survived seven house moves, about 25 years of my life and while the decals are a little time-worn, its credit to AMT and my Dad that it's still in one piece and with the stand (pictured here, left)! 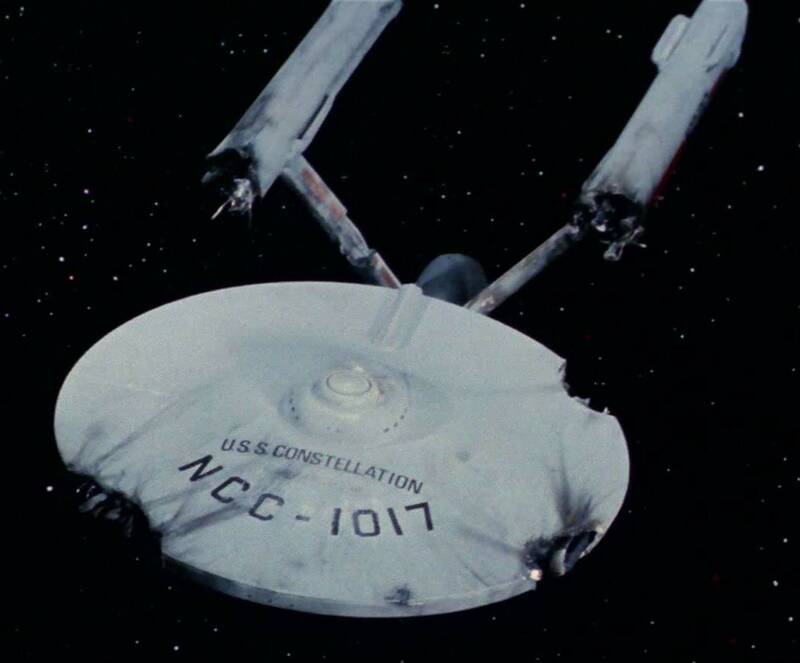 Admittedly the deflector dish spike has cracked a few times but otherwise it seems to be bombproof unlike the movie Enterprise which we'll come to in a future piece. 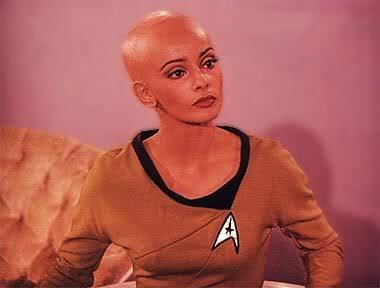 When I was younger it was the best thing ever - I had my own USS Enterprise. Cool. 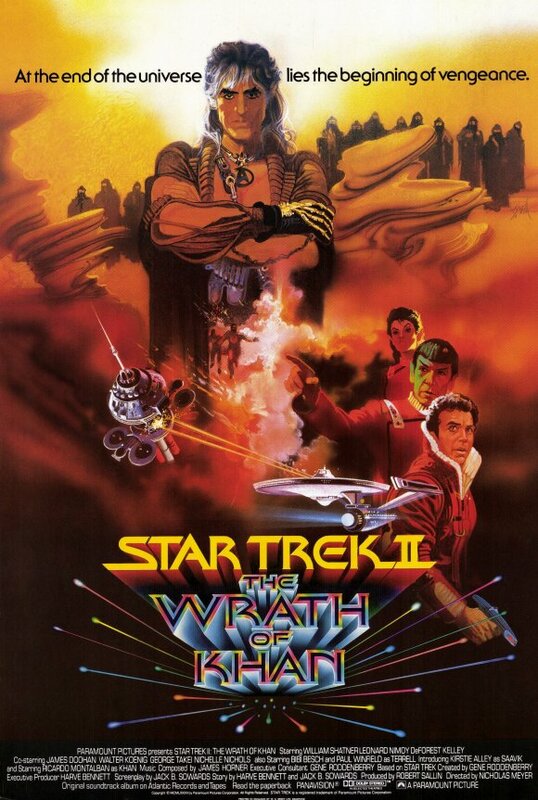 In 1986 I first saw Star Trek II. I would have been about seven and I suspect it was a trimmed version as it was on in an afternoon. 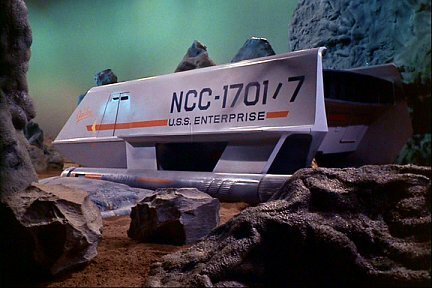 From what I can recall so there would have been minimal appearances from close-up shots such as the ceti eels entering Terrell and Chekov's ears. It was amazing and soon became a heavily viewed VHS tape (with adverts thanks to it being a recording from ITV). 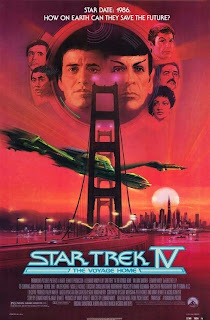 With my heightened interest that also meant a trip to the cinema in Truro close to where we lived in Cornwall to see Star Trek IV with my parents and Mark Pascoe (where are you now?!) which was released that year. 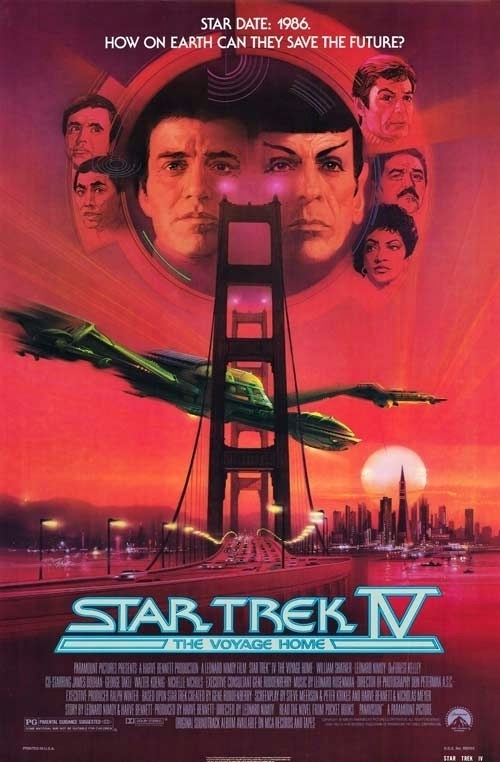 This was the first Trek that I saw at the cinema and since 1986 I've seen every one at the flicks as undoubtedly every Trekker reading this also has. Even Nemesis. As you will have no doubt noticed that means I skipped a third of the Genesis trilogy (we'll get to that later) but at the tender age of seven as long as there was action, adventure and spaceships I really didn't mind and the little recap at the beginning meant I got to see the Enterprise blow up anyway. For a seven year old it was a really enjoyable film and it kept me wrapped for the best part of two hours. Plus we got to see the new Enterprise at the end of the film... even though it was identical to the one they'd blown up in The Search for Spock.The movie refit is the best version of the ship in my opinion so I was quite happy at that result as the model survived for another two encounters. What I now realise about this period is that my liking of Trek was purely at an action/adventure level. Getting character motivation, plotlines and themes wasn't in my repertoire at this time. 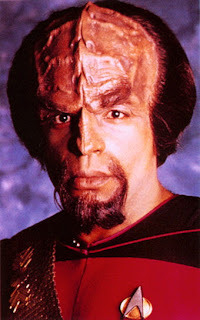 Trek was something that I enjoyed that my Dad also enjoyed and it was a common interest that I could talk to him about. For Christmas 1985 I received one of my first pieces of what is now "memorabilia". I retrieved it from the loft just the other day and can still remember spending many an afternoon playing the cassette and waiting for the communicator chirp so I could turn the page. It was of course the Book and Tape The Wrath of Khan (I still have the tapes as well). The pictures were brilliant. Full colour and took you all the way through the film. When we went to Plymouth for a day out in 1986 I had some pocket money saved up and bought The Search for Spock. At least I got to see some bits of it even if it was just 24 stills! It seemed for a few years I was jinxed when it came to seeing the third Trek film as you will see! A year later and I caught my first glimpse of something new to the world of Star Trek. They were making a new series. Wow. Big news. The only way I found out was by watching Wogan one evening on BBC One and seeing some English guy called Patrick Stewart interviewed about becoming the new captain. Dad wasn't impressed. It was going to be rubbish and no-one could better Kirk, Spock and McCoy. " 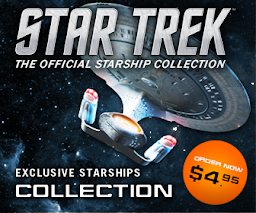 Hell," he said; "there was even a Klingon on the bridge and Kirk would never have allowed that!" 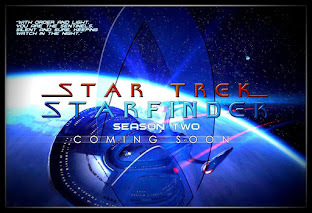 The ship looked dreadful and the scene they showed from "The Last Outpost" didn't instill any sense that this would be a suitable sequel to the original series - and what was a Ferengi?! How I remember this I do not know but what it tells me now is how much of an effect, even subliminally, Star Trek has had on me. After the interview I put thoughts of the new show on a back-burner and wouldn't encounter The Next Generation again until 1990 mainly because back in Them Days you had to wait YEARS instead of HOURS for anything to cross the Atlantic. We moved to Derbyshire in 1989 and life changed a lot for me. It was during the two years that we lived there that I was almost continuously bullied at school. What stood me out from the rest was that I had the full school uniform including tie. The remainder of the school wore what their families could afford. I was most definitely Odd Man Out on a daily basis. 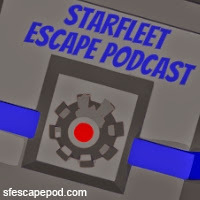 Star Trek was my escape and having no-one liking the showt meant it was even more special and somewhere I could retreat. From the years in Cornwall to those in Derbyshire I was provided with numerous repeats of The Original Series which meant I got to see "The City on the Edge of Forever", "Arena", "Piece of the Action", "Mirror, Mirror" and "Space Seed" among others. While these are all the classics it was the more action orientated episodes that kept my attention. 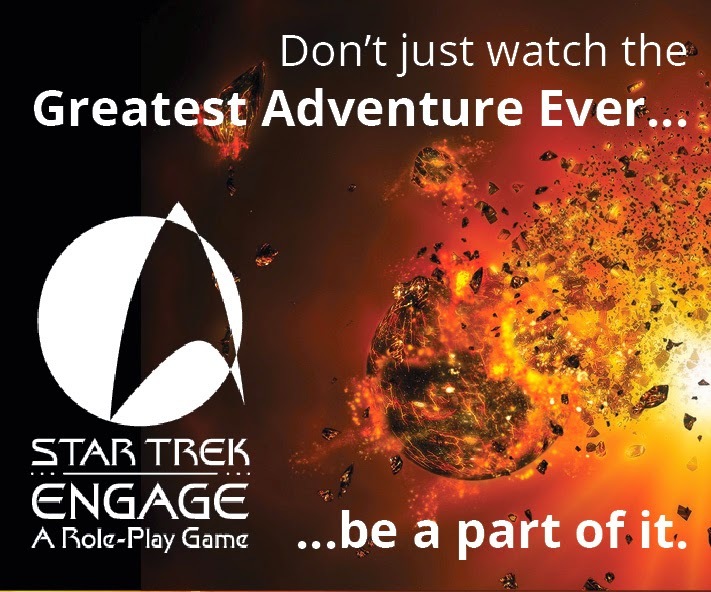 Phasers, photon torpedoes and lots of explosions always proved a winner. While not a classic, "The Galileo Seven" was a top slice of all these with a splash of a shuttle craft thrown in for good measure. Reading about the fate of the original full size mock up is an incredible story and I recommend you take a look on the web for it. Funny now that when I was younger I didn't appreciate that the were things called seasons and that the run wasn't endless. I just knew that Star Trek was always on on a Wednesday night before I had tea and usually before Dad was home from work. Either for best or worst no-one in Ilkeston liked Star Trek and it was another sign that I was a real outsider because it wasn't real. 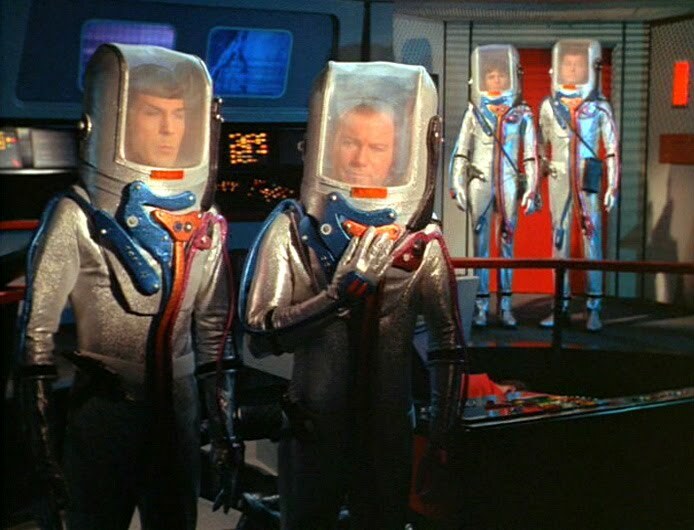 Star Trek was a "dead" series from the 1960s with "rubbish" monsters, spaceships on strings and wasn't a patch on the stuff that was being churned out on a Saturday by ITV. To be honest even today Star Trek is still in a class of its own (personal opinion) and makes a lot of the programmes we have now look very unimaginative and cheap (Red or Black, X-Factor, The Only Way Is Essex). It was escapism with some real issues; clearly way "too cerebral"! I wasn't a supporter of either Nottingham Forest or Liverpool FC and didn't like to spend my lunchtimes beating other kids up which just added to a painful two years of physical and verbal abuse. My "peers" saw it as something that wasn't normal because I didn't conform in interests or appearance. I wasn't allowed to go roaming the streets in the evenings or weekends and spent my time writing, drawing and watching Star Trek. Another Chance to Play "The Game"
So Who Is John Harrison?! Is "Disaster" Worth Another Viewing?